Interior of a cup by the Meleager Painter. 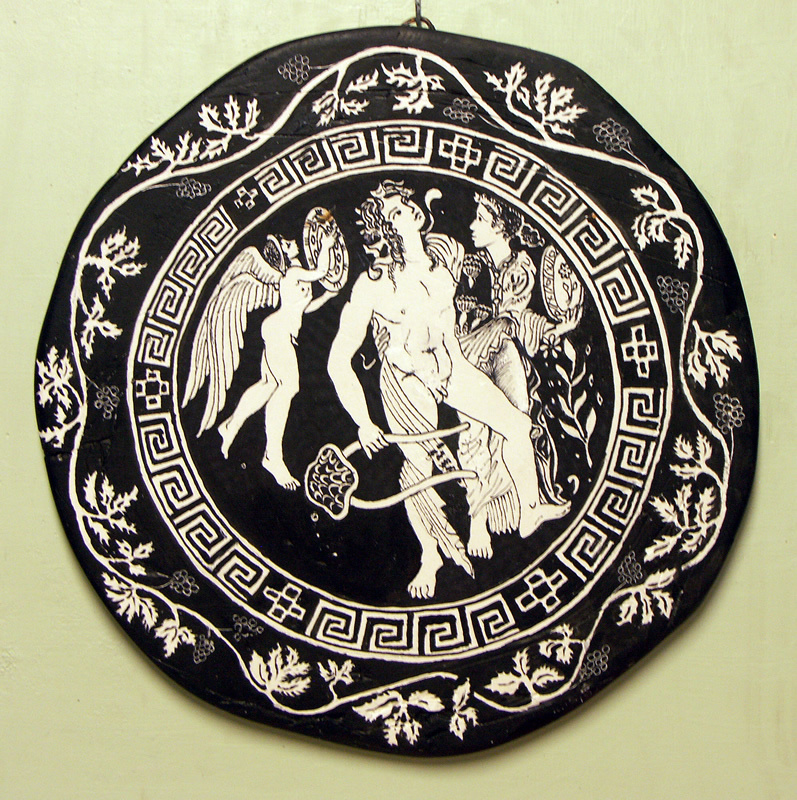 A limp Dionysus, holding a lyre, is supported by a girl with a tamborine (perhaps Ariadne) while Eros plays for them. The vine leaf around the scene would appear to settle over the level of the wine when cup is used. Early fourth century B.C. Original 24cm. Copy by Diana Webber, 2015. Published August 10, 2016 at 797 × 800 in Ancient Greece. Trackbacks are closed, but you can post a comment.